Africa does not give up its secrets easily. Buried there lie answers about the origins of humankind. And yet, though vital clues still remain hidden, scientists have over the last century transformed our understanding about the beginnings of human life. 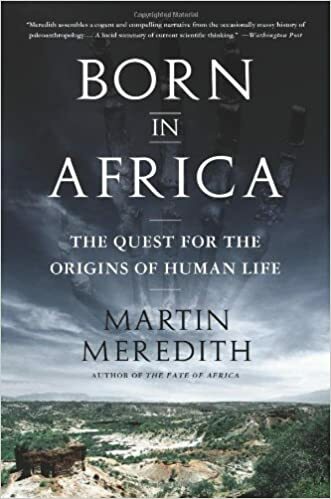 In Born in Africa, Martin Meredith follows scientists’ trail of discoveries about human origins, recounting their intense rivalry, personal feuds, and fierce controversies as well as their feats of skill and endurance. And he limns their momentous accomplishments: Scientists have identified more than twenty species of extinct humans. They have firmly established Africa as the birthplace not only of humankind but also of modern humans. They have revealed how early technology, language ability and artistic endeavour all originated in Africa; and they have shown how small groups of Africans spread out from Africa in an exodus sixty-thousand years ago to populate the rest of the world.